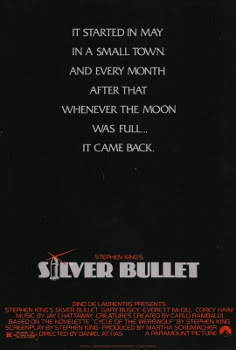 Silver Bullet was released on October 11th, 1985. Filming locations include Burgaw, Leland and Wilmington, NC. Great page! I enjoyed all of the location photos. Would you mind sharing the addresses of where Marty's house was as well as Stella's house? Thank you for those. Some great finds! The location of Tammy's house would be cool to know as well. Great find Mxpxboy! It looks like the water tower was taken down sometime between 1993 and 1998. With some help from a friend in NC and his sources, Virgil's Service has been found! It's changed a lot over the years, but it is for sure the location. It's in Castle Hayne, NC. 34.330352,-77.915709 on Google Maps. It's now known as Fred's Body Shop.